Ray Lloyd McKethan II obituary. Carnes Funeral Home. 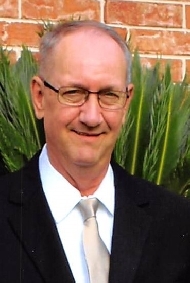 Ray Lloyd McKethan, 63, of Santa Fe, Texas passed away Monday August the 7th, 2017. Ray was born to Ray McKethan I and Dorris Jean McKethan in San Benito, Texas on January 15th, 1954. Ray is survived by his son Ray McKethan III, his daughter Crystal Flinn and her husband James Flinn, his daughter Kimberly Brock and her husband Lee Brock, as well as his grandchildren Blake, Braeden, Trevor, Katelyn and Emma. He is also survived by his sister Sandra Kavadas and brother Steven McKethan as well as many nieces, nephews, cousins and beloved friends. Ray was proud of serving his country in the United States Navy. He loved golfing and fishing. He enjoyed listening to music and playing the guitar. Most of all he enjoyed spending time with family and his precious grandchildren. He was a simple man, a man of few words. His family and friends always felt his warmth and love through his heartfelt gestures. In lieu of flowers, the family has requested donations be made to the Wounded Warrior Project in his memory.